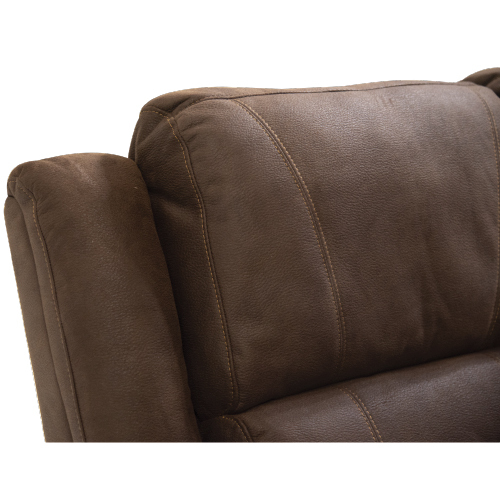 The easy-to-coordinate hazelnut colour of theLEA033 Corner Recliner Suite Suite offers a warm, modern neutral for your living room. 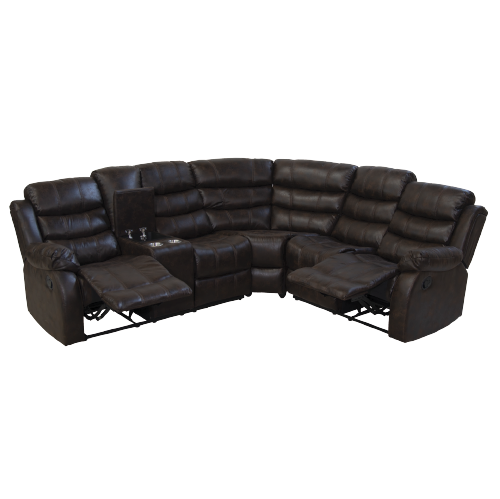 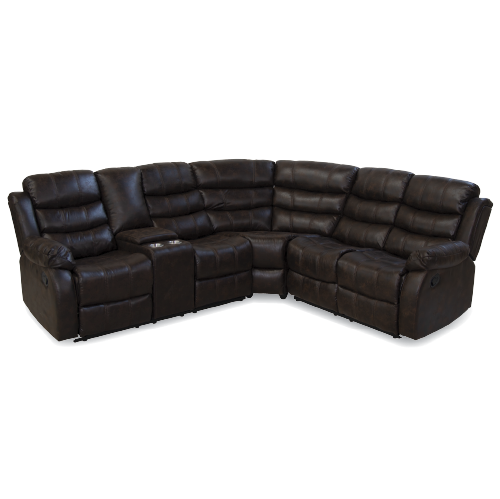 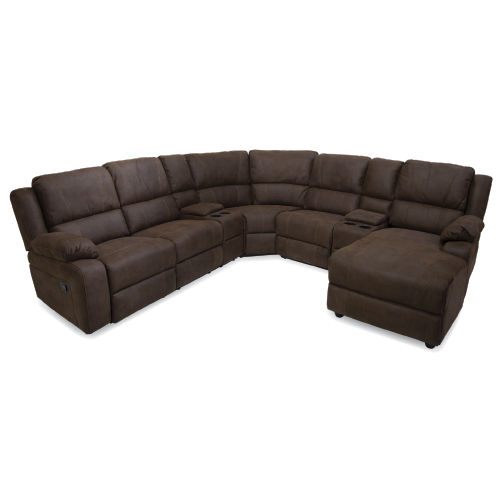 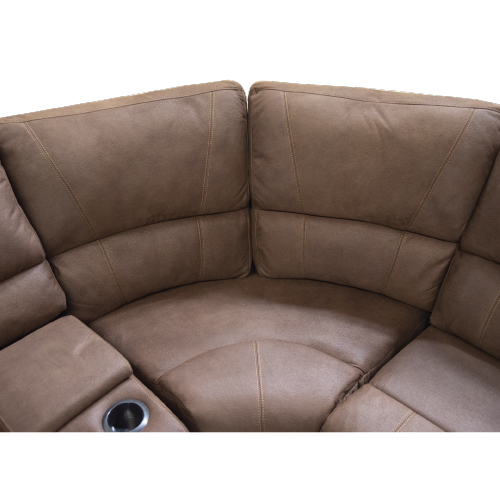 Upholstered in soft-as-suede microsuede and reinforced with foam and fibre for ultimate comfort, this corner sofa boasts reclining action, a lounge-worthy chaise and a console that features storage space for downtime essentials and cupholders. 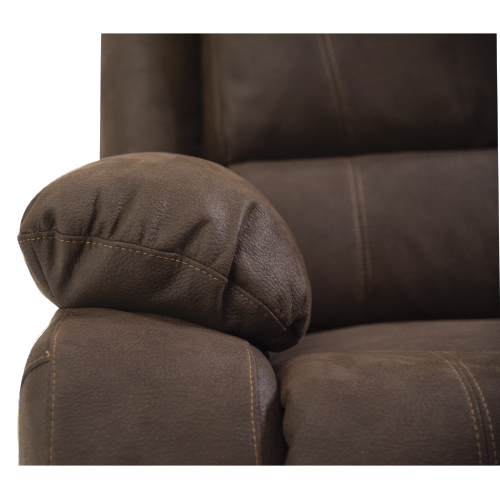 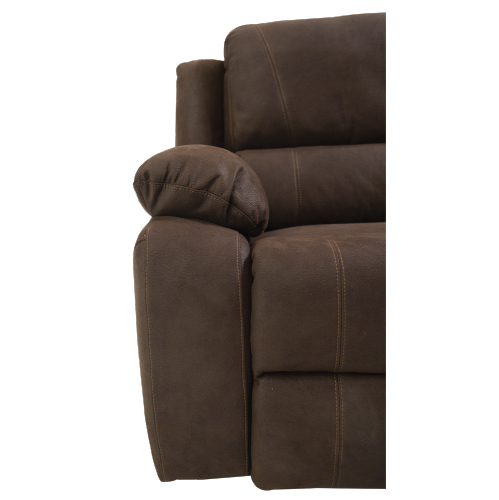 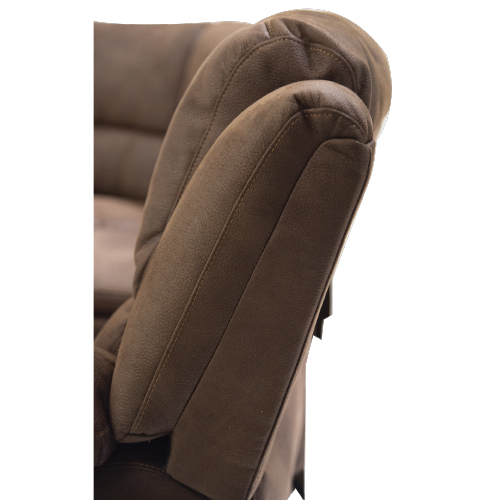 The well-padded seating of the LEA033 Corner Recliner Suite is accented by designer stitching and channel tufting to impress your guests and relax away the day.